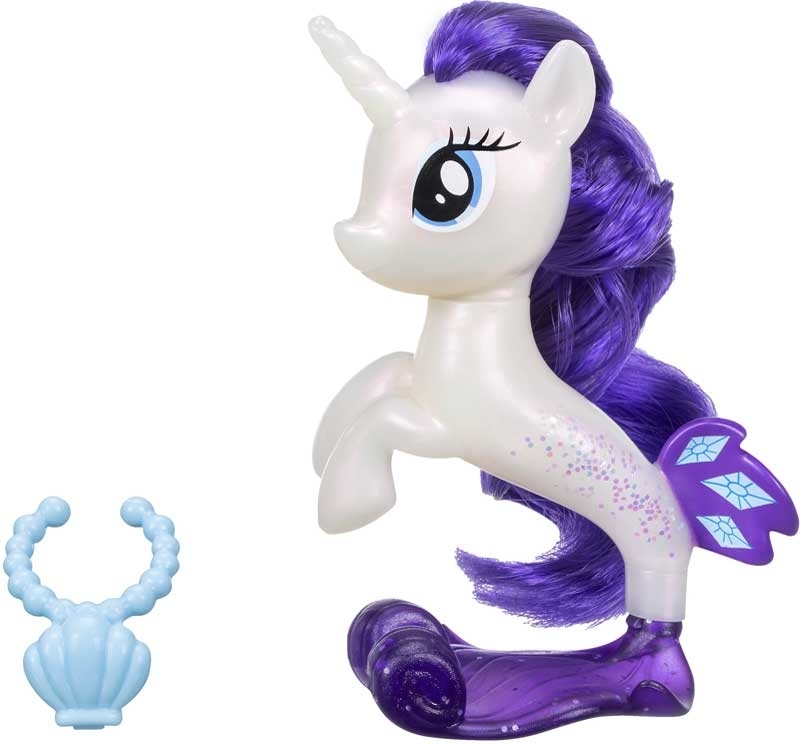 Beneath the waves, Rarity has a seapony tail that shimmers and shines! 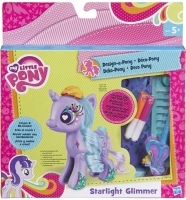 Inspired by the My Little Pony the Movie, this 3-inch Rarity seapony figure has a beautiful mermaid-like, poseable tail decorated with glitter. 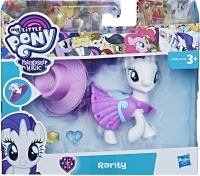 She also has a cutie mark on her back fin. Open her necklace to reveal a treasure inside! 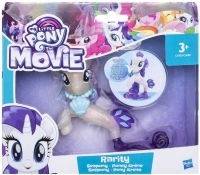 Imagine movie-inspired adventures in Seaquestria with My Little Pony friends.